Halloween Countdown Special! #10 – AN AMERICAN WEREWOLF IN LONDON – Show Me The Movies! It’s another entry in our Halloween countdown for a horror movie that fully delivers on both the shock and gore as well as laugh out loud comedy. Not only that but there is true pathos in the genuinely moving relationship between a nurse and a lycanthrope that forms the beating heart of the movie. While backpacking through Europe, two friends, David (David Naughton) and Jack (Griffin Dunne), find themselves out on England’s moors, despite being advised to avoid them. When a wild animal attacks them, one of them dies, and the other starts to show signs that he may be transforming into a werewolf. In fact, one of the film’s standout sequences sees the main character David eventually and graphically transform into a full-on lycanthrope. It is an incredible sequence and you can almost feel every part of David’s body being stretched, twisted and contorted into his new form. What follows is a genuinely classic monster movie that to this day feels fresh, scary and consistently funny; a running joke sees David’s friend Jack keep appearing as an ever decaying corpse. 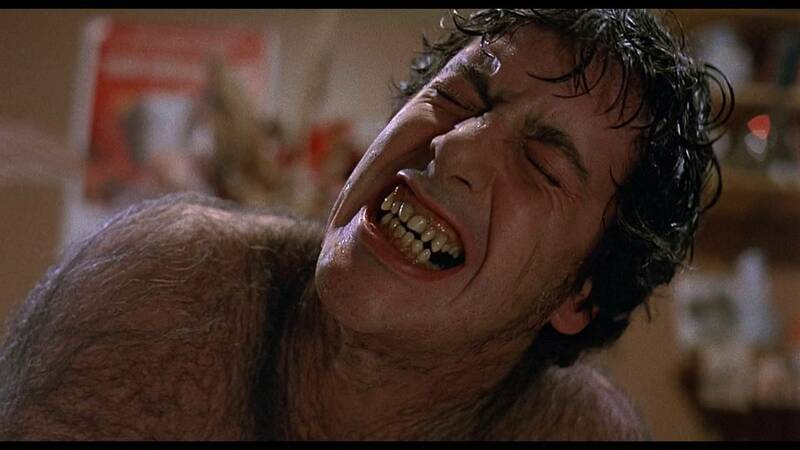 Director Landis has perhaps never been able to match or better the movie in his career but AN AMERICAN WEREWOLF IN LONDON remains his masterpiece. We’ll go for the transformation scene – more effective than anything CGI can do nowadays. Next Next post: Is Robert Englund ready to hang up his razor gloves and bid farewell to Freddy Krueger?